What exactly is self discipline and why is it considered such an important step to further human development. What most will usually struggle with is their own self control over oneself, as there are easy temptations which are constantly staring down on us on a daily basis. The current state of the instant gratification media also preys and purposely batters our fake persona’s, pumps our ego by constantly teasing and hitting our emotional buttons, which makes us want to be more popular, in demand, more attractive, or successful. We’re always out on the prowl searching for the next big trend, the next best thing that’s coming down the chute which will make us look or feel a lot better about ourselves, which will improve our lives in some way. This is the primal human instinct and we all fall victim to it, and there’s absolutely nothing wrong with fulfilling these desires. The biggest issue however is that we’ll fall too easy to the bad vices and they become habits. Then before we know it, we’ll begin giving in to the smallest of these desires, and then start losing control of ourselves, our lives, and the ones we love. We all know that smoking cigarettes is unhealthy but most will continue to do so anyways. We know junk food is unhealthy, but we munch away. We all know that we should be exercising more on a daily basis, while getting adequate sleep every night. We know that debt is dangerous but we spend away. We hardly apply all the knowledge that we know into our lives. For most of us, we fail. The reason being that we live in a society which promotes instant everything. We can’t reason to wait or care to save money for something that we want to buy. Instead, we’ll use our credit cards and then end up paying a lot more for that item once the interest compounds. We can’t resist eating that chocolate bar hidden in our desk, that plate of chocolate chip cookies that smells so good. They call out to us, and then we find ourselves drawn powerless towards that temptation, and then we give in. So what to do about it. What self discipline involves is applying these techniques on ourselves. Why you wonder would someone even bother. What are the benefits of self discipline? Who really cares if we have poor self control, it’s our life. We’re just hurting ourselves, and in some remote cases, our family and friends. It comes down to what we happen to be resisting, and how often we do it. For instance, alcohol and tobacco abuse, gambling, compulsive shopping, eating excessively, these are all things which can erode the quality of our livelihood as well as others. Strengthening our own self control gives us freedom. We’re no longer victims of our own desires. Imagine having the strength to say “No Thanks” to that extra piece of luscious chocolate cake, and mean it. Imagine paying down your debt and being in control of your current expenses. Imagine a stronger healthier body and a clearer mind free of toxins. This is freedom. Know that this is possible for anyone, if you’re willing to put forth the effort. For some, there’s a whole boatload of emotional issues which are attached with our cravings. 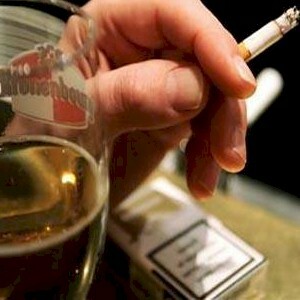 We smoke or drink to eliminate the edge, rather than just speaking up. We overeat just to numb our dissatisfaction with our current anxieties. Most addictions are derived as a coping mechanism for taming the emotions that we are no longer wanting to face. But once we begin practicing better self control, the newly reawakened emotions then needs to be dealt with and worked through. What we need to ask ourselves is if it’s worth the effort. How much our lives will improve if we learned how to resist certain temptations. If your worst habits happen to be minor, such as having that extra cup of coffee in the morning, it might not even matter to you. If you happen to be a heavy smoker or a chronic drinker, or a compulsive eater or gambler, the matter and its process becomes a bit more serious and painstaking. What we need to do is to look honestly at our lives, and then determine if we’re out of control in any area. For some, the answer may be no, for others, they may need immediate help. We also need to know the level of desire for these activities. Just because you may decide to drink 4 cups of coffee a day, doesn’t necessarily mean that you have an issue. The key method of knowing if you have a problem is by asking yourself, “Could I live without this even for a day or two?” Based on how you respond, such as no, then you know whether you have a problem or not. Strengthening our willpower and resisting our desires is a difficult thing to do. Most have become jaded and weak to the point that they can’t imagine saying “no” to something that they really want or enjoy. What it takes is immense strength and conviction to resist any of those impulses. It takes a strong desire to improve ourselves and our lives. Without this desire, we won’t be very successful in ever making any lasting changes or impressions. If the desire happens to be there, even if there’s just a tiny spark, that’s usually enough. Then we can begin working towards structuring our lives to change in different ways that we’ve never thought possible, and then setting ourselves free during this process towards better self discipline.